Keep reading for all the photos from this shoot and for full outfit and sustainability details! Western-inspired fashion is something I haven't experimented much in, but after this outfit post, I realized that I've been totally missing out! Location-wise, these types of outfits were made to be shot in the cactus garden. A definite match made in heaven. 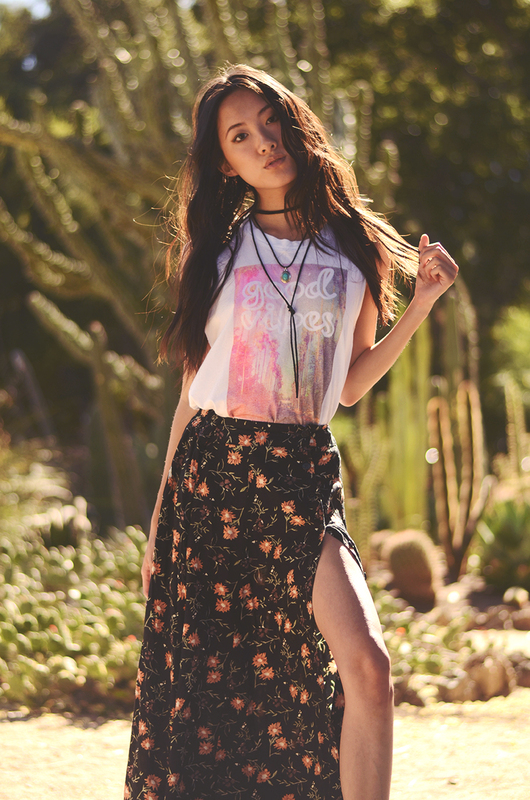 With festival season upon us, I've been styling together some more elaborate bohemian looks! The long days of summer have been blessing us with a particularly fiery golden hour too, making for photoshoot scenes that are positively glowing!